I am so honored to have the privilege of coordinating your First Year Experience (FYE) and orienting your understanding of what it means to #be_HT. Since I have been here, I have been diligently working on creating an educational experience that is enlightening, engaging, and empowering. The vision and purpose of the FYE program is to not only provide transitional support, but a transformative experience that creates meaningful connections between what the students are learning and what they are living. It is my belief that when students become involved in effective educational empowerment programs, they enhance their educational experience, increase their academic and cultural capital, create a strong support network, and acquire valuable experiences that will assist them in their personal and professional endeavors. Education is ultimately the practice of freedom. All students deserve an engaging, enlightening, and empowering pedagogy. This has the ability to facilitate the relationship between knowledge in the classroom with who they are, and who they ultimately aspire to become. I love serving our HT students and feel so blessed to be a part of the Huston-Tillotson Legacy. 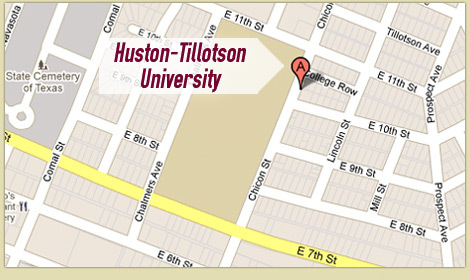 The Huston-Tillotson University First Year Experience program is a comprehensive educational support system designed to assist students in making a successful transition to HT. The program includes: #be_HT Orientation; Appreciative First Year Seminar Instructors/Advisors; the Education as the Practice of Freedom Project with complimentary co-curricular programming; Peer Learning Consultant (PLC) Mentors; and Ram Radar, a student centered academic alert intervention support network. Orientation: Cultivating Pride, Purpose and Passion. Orientation is the first step to achieve academic and personal success at HT! Our orientation is your initial integration into what it means to #be_HT. This activity prepares you for a broad range of HT educational opportunities and services, and sets the tone for academic and social expectations, as well as student responsibilities. Education as the Practice of Freedom Project: An Educational Experience that Enlightens, Engages and Empowers! The students will engage in critical self-reflection about the relationship between knowledge, self, and society and be challenged to pursue their education with a stronger sense of purpose. Students will learn about the psychology of success and how to effectively implement self-empowerment strategy for pursuing their purpose, such as: life management, critical literacy and reflection, AVID learning strategies, and more. They will delve in discussions, such as: what is knowledge and how is it socially constructed, facilitated, and acquired; how does knowledge affect how we see ourselves and the world we live in; how does knowledge affect how we live our lives and pursue our purpose; how do we apply knowledge to change the world and be the change we want to see; why knowledge is the practice of freedom – a means of finding, pursuing, and fulfilling our purpose. The following spring semester, will connect theory to practice by proactively applying what they have learned about knowledge, self and society in order to effectively serve the needs of our east Austin community. Our students will engage in a critical analysis of challenges affecting the opportunity structure of community empowerment and work hand-in-hand with local residents, community service partners, and public officials to engage in asset based community empowerment projects, like: tutoring the youth, feeding the hungry, fixing computers, and planting trees. Each student is challenged to reflect on the meaning and purpose of the project in hopes that they realize their actions can improve the lives of others and, ultimately, their ability to control their own lives. This transformative experience is documented in the creative digital stories are shared with the community at the #be_HT First Year Experience Summit. The First Year Experience program provides our HT first year students with purposeful and structured out-of-class educational experiences. Co-curricular programming is designed to compliment and reinforce the declared learning goals of their capstone project and core curriculum courses. These experiences are designed with the hope of exposing our students to authors, physicians, philosophers and … perspectives that will inspire our students to pursue their purpose with passion! All freshman students receive intrusive, intentional, and appreciative advising from the coordinating instructor of the EPF Project whom they spend at least 2 hours a week with in their freshman seminar UNIV1101 and UNIV1102 courses. The academic adviser seeks to meet regularly to cultivate a strong relationship with each of their advisees wherein the student feels a valued and a shared responsibility of academic success. 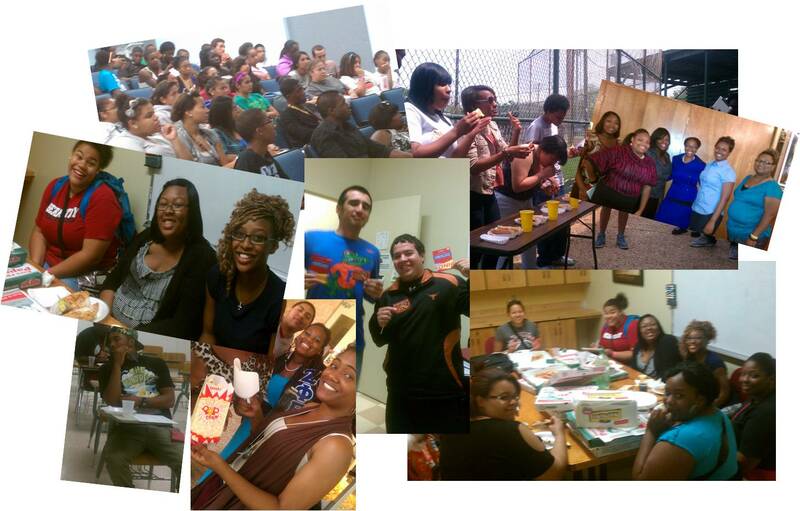 Every freshman has been assigned a Peer Learning Consultant/Mentor to guide them during their freshman year. The PLCs are prominent leaders on campus that have been trained in AVID Socratic tutoring methods and peer mentoring. We are very proud to have them mentor our freshman students. PLC mentors reach out to new freshman to welcome, notify and inform them of HT- FYE events before they step foot on campus. The PLC mentors attend freshman seminar with their mentees and help guide students through Capstone Project. They host weekly study hall sessions to tutor their mentees and provide individual learning consultations. Develop and coordinate co-curricular events and activities for our freshmen students. Are basically, your big brother or sister on campus. Ram Radar Early Alert is a program of student centered intervention and follow-ups for students identified as having academic and/or personal difficulties. The program proactively provides feedback from instructors to the advisers (freshman seminar) and mentors (Peer Learning Consultants) to help students seek and receive student support services and other recommended actions that will help them succeed.